360° dome film created for the Rio Tinto Alcan Planetarium in Montréal. PLUTO : CHRONICLES OF AN EX-PLANET is a feature length planetarium film that chronicles the discovery and history of everyone’s favorite former planet. Until recently, astronomers could only speculate as to Pluto's actual appearance, but that all changed on July 14th 2015 when the New Horizons spacecraft travelled over 3 billion miles from planet Earth, to hurtle past Pluto at a distance of approximately 7,000 miles. This incredible achievement by NASA helped reveal Pluto’s geological and morphological nature, its surface geography and the composition of its atmosphere. This film was created to coincide and commemorate New Horizons’ historic flyby. A team from The Montréal Planetarium visited the Lowell Observatory in Arizona to capture the infamous telescope that discovered Pluto in 1930 and present these images in an immersive dome setting. I lead the animation team that created several environments and historical retellings of this epic journey. I lead the animation team that created all of the collage sequences in this film. This journey begins with a beam of light that leaps out from the sun, ripples across Pluto’s icy surface and ricochets back into interstellar space, hurtling across the far reaches of our solar system to find it’s way to us, on planet Earth, and namely be captured in the telescope of a certain Mr. Clyde Tombaugh, at the Lowell Observatory in Arizona. The story then picks up off from a newspaper clipping celebrating the discovery of the illusive 9th planet! The visuals attempted to recapture not only the aesthetic of the 1930’s, but through a living collage, highlight key figures, moments and places that made this moment in time so iconic. These are images of the photographic plates used to discover Pluto! That tiny discrepancy of light between frames was observed on February 18th 1930 and turned out to be the infamous Planet X –at least for a time! Planet X was named after the Roman god of the underworld, which was proposed by an eleven-year-old girl from Oxford England. Coincidentally and perhaps building off of the planet’s new found fame, Disney’s iconic character Pluto the Pup also came to life that year. As more objects of similar and greater size became visible throughout the Kuiper belt, the definition of a “planet” was formalized in 2006 and to the chagrin of many sentimental fans across the globe, Pluto was reclassified as a dwarf planet. And thus, the search for the ever mysterious Planet X continues! 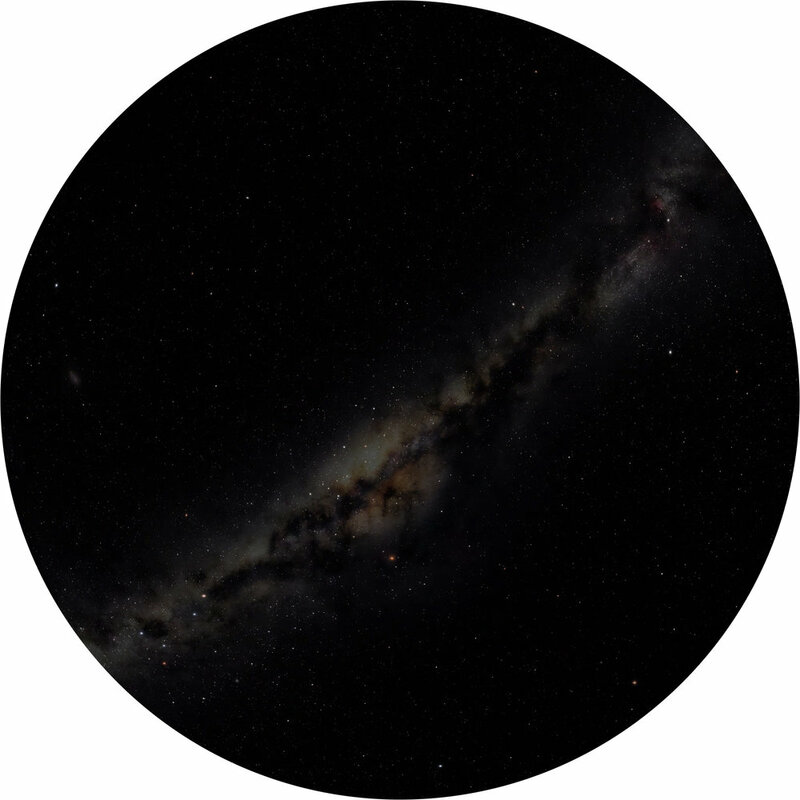 A huge thank you to the entire team of astronomers and space enthusiasts at the Montréal Planetarium for inviting me to collaborate on this project. It was so amazing to geek out on my favourite subject of all time: space!